For many American citizens, cars are their primary mode of transportation. People need them to get to work or school, to go grocery shopping and to attend appointments. While public transit exists, the system isn't always the most reliable or timely, and unless inhabitants live in cities, they won't experience the advantage of those railways and buses. Because of this, personal vehicles have become a standard of living. According to the Department of Transportation's Bureau of Transportation Statistics, more than 253 million vehicles were on U.S. roads in 2012, and that number has likely increased since the report. With the growing number of cars driving on the nation's highways, it's important that manufacturers ensure their vehicles are safe by the end of the supply chain. Cars are only as safe as their drivers and the efficiency of their parts. While people have control over their own driving habits, they don't have power over a malfunctioning vehicle. Brakes may stop working, tires can pop and the engine may die. These can lead to both fatal and non-serious accidents. According to a 2015 report from the National Highway Traffic Safety Administration, an estimated 44 million crashes from 2005 to 2007 occurred because of mechanical problems. While this only represented 2 percent of the accidents the organization investigated in the two-year span, this number can cause countless of unexpected problems. To prevent these issues, Discount Tire recalled nearly 80,000 tires in July. The company discovered separation between the treads on several models of Pathfinder tires sold between August 2013 and May 2015. This may be caused by the incorrect sizing of the tires' inner liners, which hold the air. While Discount Tire's products' issue has thus far not resulted in any injuries or fatalities, the problem could cause more serious accidents if not taken care of. According to the National Highway Traffic Safety Administration, tire issues cause 35 percent of car accidents. When the treading on the rubber is worn down or separated, it can lead to low air pressure, loss of control and accidents. Yet, tires are used long past their recommended lifetimes. In a study of 11,500 cars conducted by State Farm, 50 percent of tires are nearing their end, while another 10 percent have no treading left. 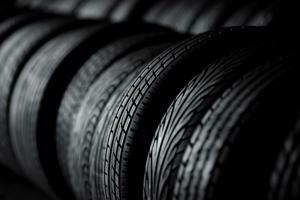 People at all parts of the supply chain must check and maintain their tires' health. Consumers should replace their tires when they notice the treading is worn down, and manufacturers should perform several tests before releasing their products to the public. Companies must also conduct checks after their tires have been used by consumers. After being notified in February 2015 that its tires may have problems, Discount Tire started investigations into the safety and durability of its products. It performed various tests before deciding to recall the Pathfinder tires to prevent any future issues. The company then maintained its goodwill with its consumers by offering free replacements or full refunds.